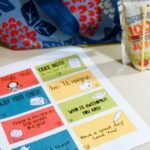 I am going to break down and be completely and totally honest. This is one of those desserts that I have had the recipe in my box of tricks for a long time. Why haven’t I made it?? Well, it scared me. LOL Rolls can be intimidating. 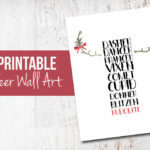 I thought it was going to be extremely difficult and that it might fall apart. I mean, after all I am no pastry chef, I just like to bake. I decided to give it a whirl. You don’t know if you don’t try. So I pulled out my trusty KitchenAid mixer and cranked it up. The prep time for this one was surprisingly little. I had the cake in the oven in about 10 minutes. Then came the moment I was most scared of….rolling the cake. I would just like to say, It was not scary at all! The cake rolled…no cracks and I probably put all of 15 minutes of effort in the great Pumpkin Roll. 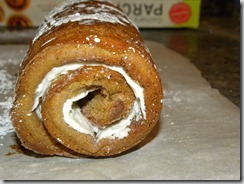 So if you are looking for something besides pie to serve your thanksgiving guests, try this pumpkin roll. It is so easy, and looks very impressive. Did I mention it is delicious?! You can also find more Pumpkin Recipes here! Preheat oven to 375 degrees F . Grease a 15x10x1 inch baking pan and line with parchment paper. Grease and flour the paper. In a large bowl, beat eggs on high for five minutes. 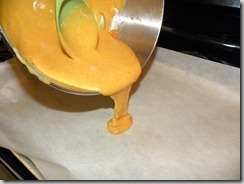 Gradually add white sugar and pumpkin. Add flour, cinnamon, and baking soda. 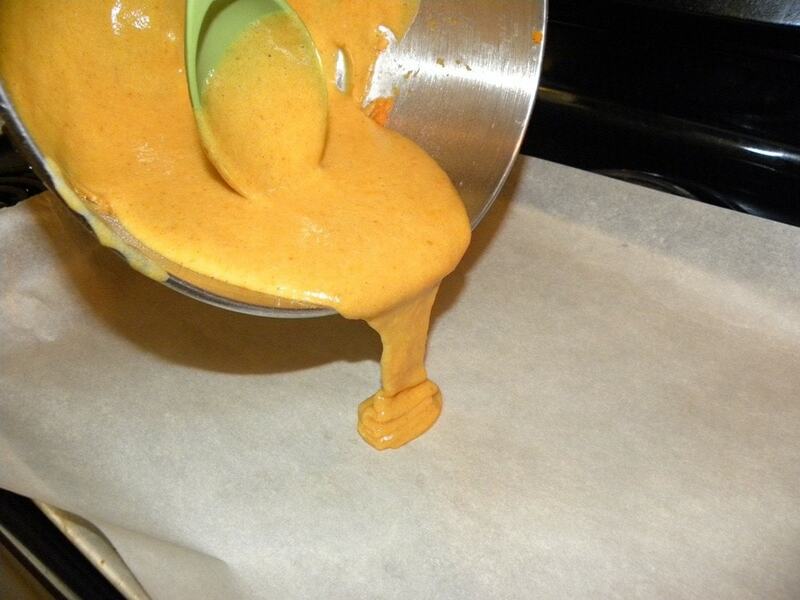 Spread batter evenly in pan. Sprinkle walnuts evenly on top if desired. Bake at 375 degrees F for 15 minutes or until cake springs back when lightly touched. 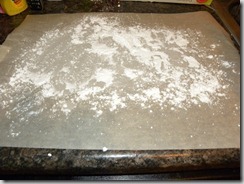 Immediately turn out onto a linen towel or parchment paper dusted with confectioners sugar. 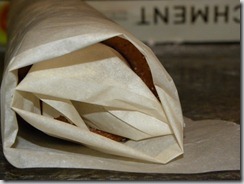 Peel off original paper and roll cake up in the towel, starting with the short end. Cool. 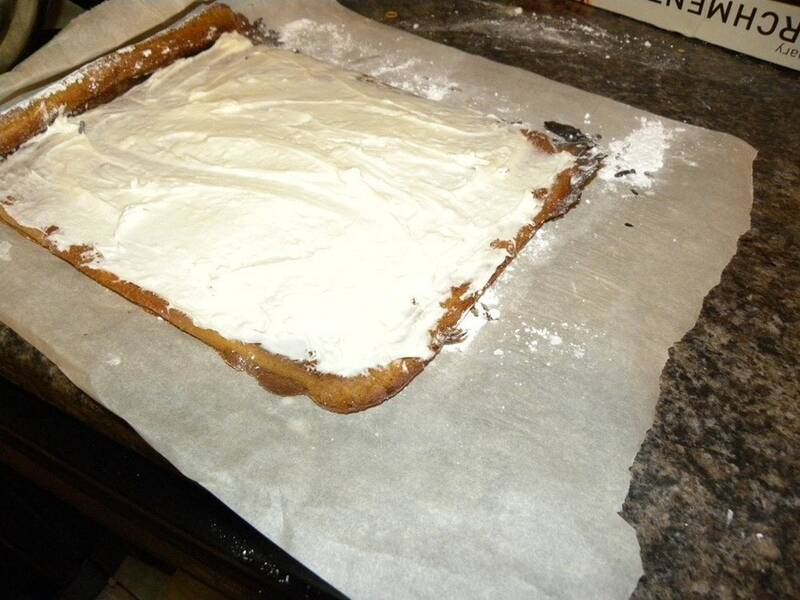 To Make Filling: Mix confectioners sugar, vanilla, butter or margarine, and cream cheese together till smooth. Carefully unroll the cake. 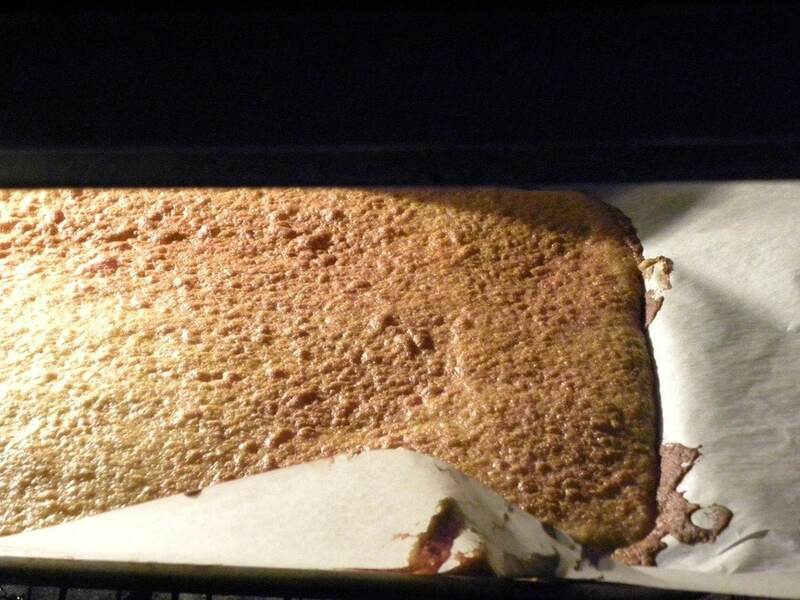 Spread filling over cake to within 1 inch of edges. Roll up again. Cover and chill until serving. Dust with additional confectioners' sugar, if desired. Preheat oven to 375 degrees F (190 degrees C). 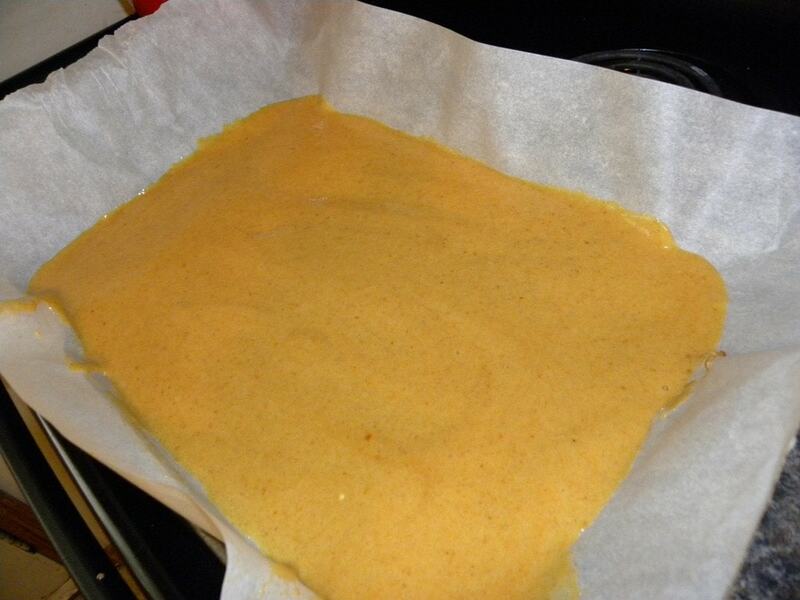 Grease a 15x10x1 inch baking pan and line with parchment paper. Grease and flour the paper. In a large bowl, beat eggs on high for five minutes. 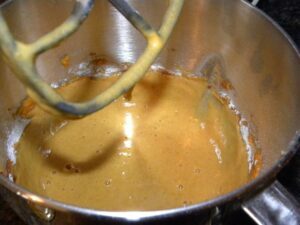 Gradually add white sugar and pumpkin. Add flour, cinnamon, and baking soda. Bake at 375 degrees F for 15 minutes or until cake springs back when lightly touched. 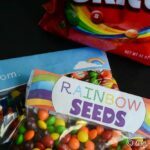 You are going to want to be ready to turn you cake out on a towel or parchment paper that is covered with powdered sugar. 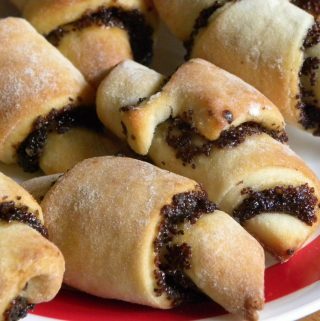 Immediately turn out onto a linen towel dusted with confectioners sugar. Peel off paper and roll cake up in the towel, starting with the short end. Cool. 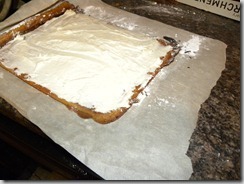 To Make Filling: Mix confectioners sugar, vanilla, butter or margarine, and cream cheese together till smooth. Carefully unroll the cake. 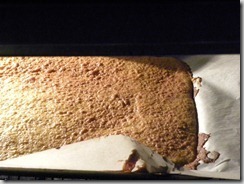 Spread filling over cake to within 1 inch of edges. Roll up again. Cover and chill until serving. Dust with additional confectioners’ sugar, if desired. I love pumpkin roll! I took a class on making them. The lady said to load up the icing at the middle and about 3/4 of the way across and then let is squeeze out on the remaining part as you roll. You end up with less coming out at the end. 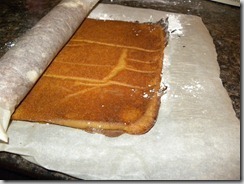 She also cuts the edges to make them look pretty (and keeps the scraps for the baker!) I loved her tricks and still use them! This is one of my yearly traditions. 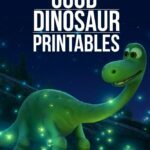 My daughter loves this the best! I make it for her birthday which is close to Thanksgiving every year.. It’s reallyyyyyy fun to serve too. People are impressed!! 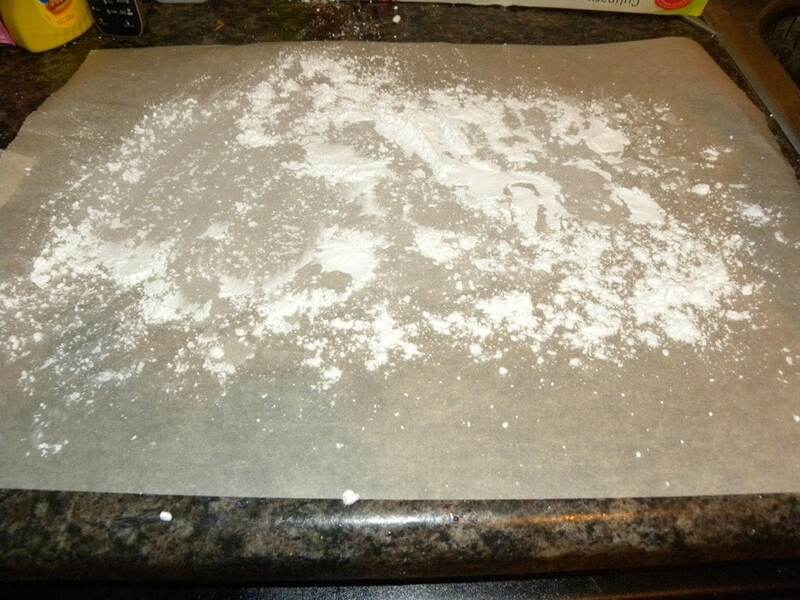 Teh only thing I do differently is to dump the cake onto a powdered sugar covered dishtowel (smooth cotton), instead of rolling it in waxed paper. Then roll it up in the dishtowel.. 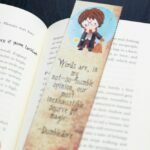 I am amazed! I can NEVER, get cake rolls to work! I even went and bought a Wilton cake roll pan in the hopes that it would help me. Nope, complete failure! 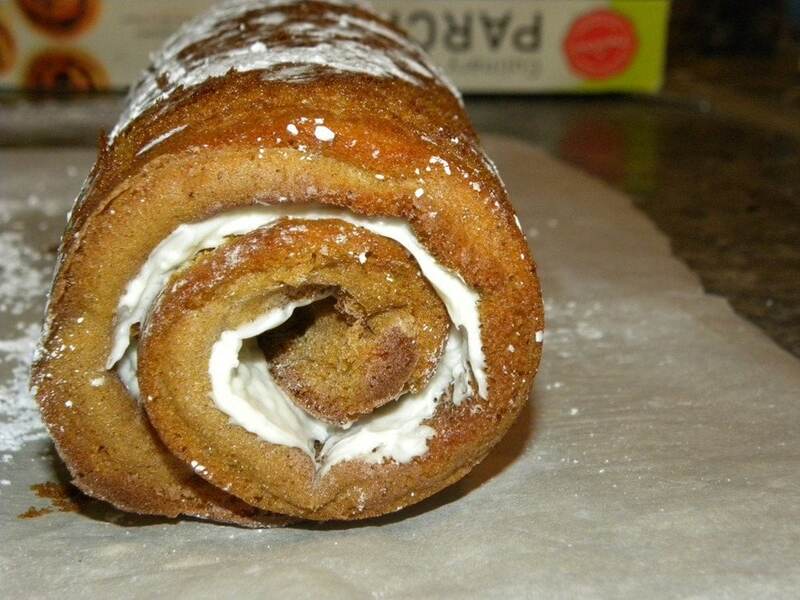 I bought a few pumpkin rolls for Thanksgiving, but I am going to give this recipe a try after my family finishes them up. If all else fails and your cake roll crumbles (like mine always does,) don’t waste the cake, just make it into cake pops like I do! 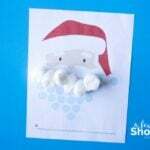 I make these every year. It’s not Thanksgiving without them 🙂 In fact, I am making 10 tomorrow (yum). Last year was the 1st year I cut the edges of the bread & they looked great. Happy Baking to all! Wow, I would love to try this for Thanksgiving. I was just wondering, what kind of pan do I bake the cake on? Hey Jennifer, I made it on a 15×10 Jelly Roll pan. It is basically a cookie sheet with an edge. Wow!! I just made this today, and it is wonderful!! I’ve never made a roll before and this was so easy. It turned out perfectly and tastes great!! 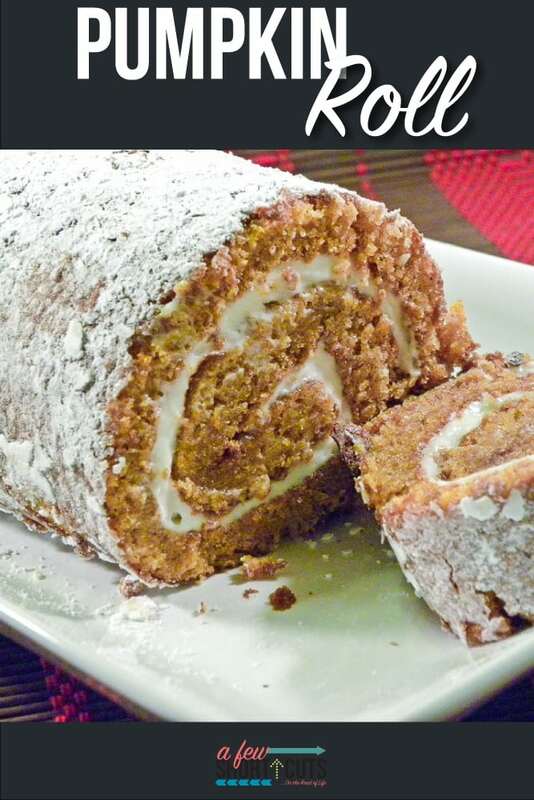 This pumpkin roll looks amazing and I am checking your recipe so I can make it for Thanksgiving. Looks delicious.